Friday - May 16, 2014 - Five Weeks Later...Here's the Proof of Marriage Click "Watch on Vimeo" inside the video player screen to see some of the highlights of this very special couple's special day and the beginning of their new life together. Joe & Corrie's Wedding (April 11, 2014) from Bokéh Studios on Vimeo. With Mother’s Day this Sunday, May 11, I thought I would repost my special connection to it, along with history.com’s video that tells the story of the women who rose up in the 19th Century to fight for peace and to reunite families who had been separated by war. Happy Mother’s to all the wonderful and courageous women of the world. 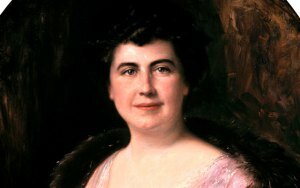 On May 9, 1914, President Woodrow Wilson (husband of my third cousin, Edith Bolling Wilson), issued a presidential proclamation that officially established the first national Mother’s Day holiday to celebrate America’s mothers.But, there are two lines of thought about where and when the idea of Mother’s Day was first brought up.